"When it comes to gift giving, what better gift can you give than security and peace of mind? To help independent senior citizens live more worry-free lifestyles, we are introducing the world's first wearable emergency phone. 911 Wearable Phone enables you to call "911" in an emergency situation, (accident, fall, illness or danger) and speak directly to the emergency operator without needing to be near a phone. Order the 911 wearable home phone now and receive our 911 emergency cell phone free for your safety and security when you’re away from home. (911 emergency cell phone makes free emergency 911 cellular phone calls. 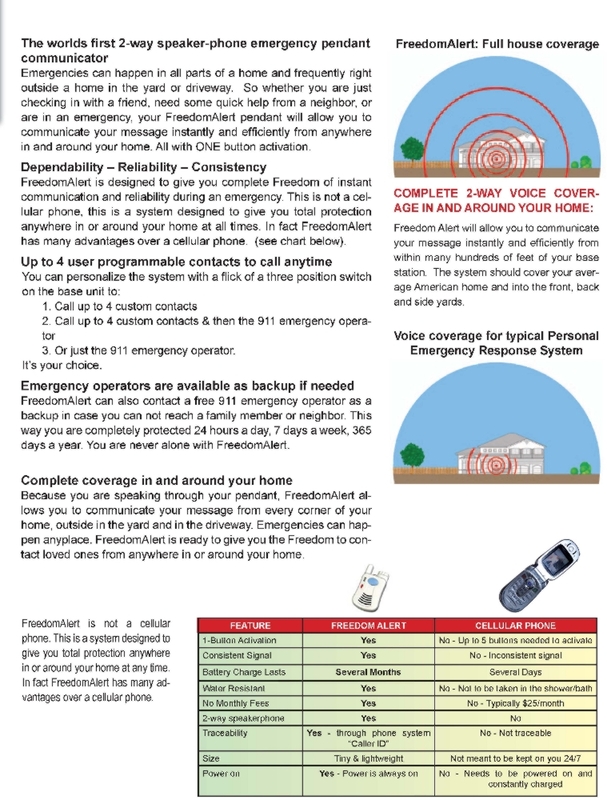 FCC rulings mandate that cellular phones without a monthly service contract be able to make free 911 calls (No monthly cellular phone bills, no contracts required-ever, no cellular phone activation fee, a $44.95 value free with this introductory offer). 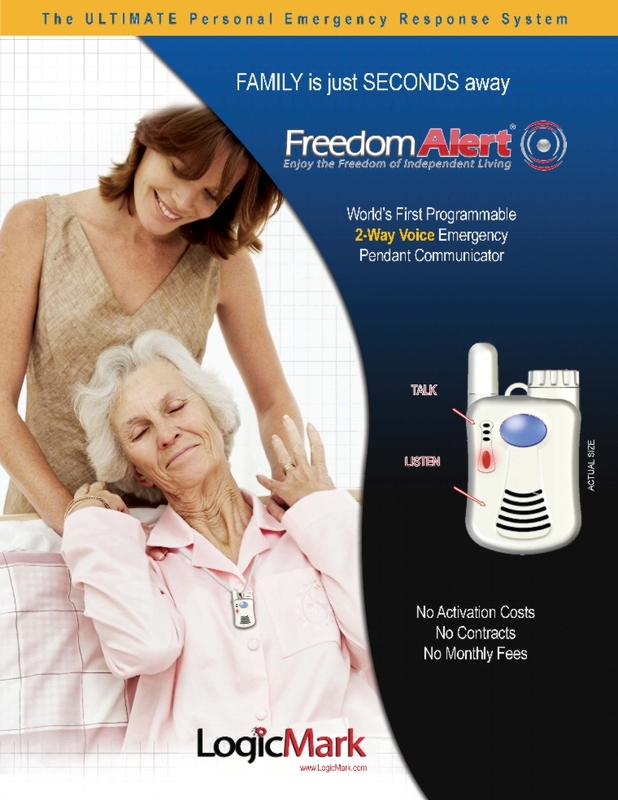 To help independent senior citizens live more worry-free lifestyles, we introduced the world's first wearable emergency phone that works with wired land line phone. The 911 wearable home phone enables you to press a single button on the miniature wearable phone to call "911" in an emergency situation without needing to be near a regular home land line phone. You speak directly to the emergency operator through the 911 wearable phone. Since you are speaking directly to the emergency operator and not to a call center, you can directly explain your emergency and get help faster. 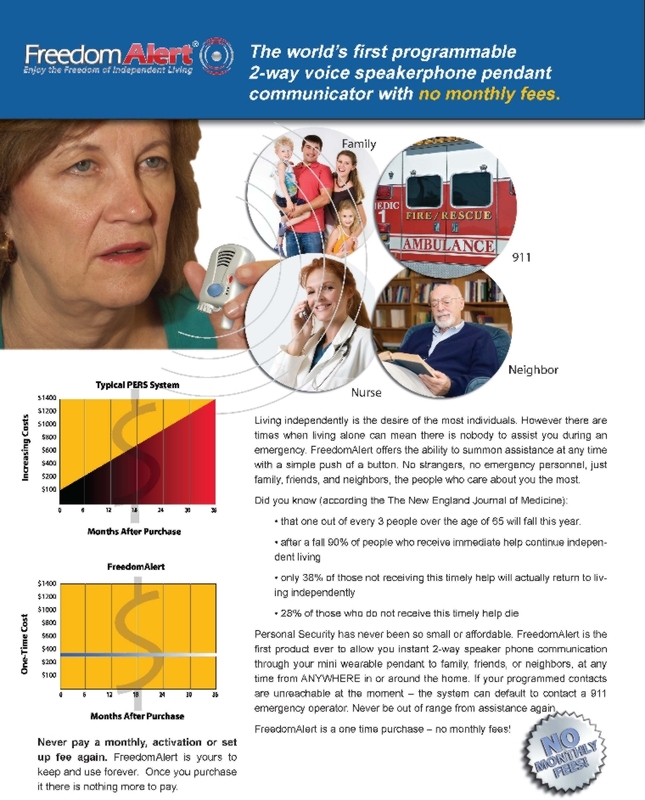 In addition, since the 911 wearable phone does not use a call center like other emergency pendants, the 911 wearable home phone has no service fees or usage charges. This products works with your current home land line phone system. This is not a cellular phone and will only work up to 600 feet from the base station that is included with the 911 wearable home phone. To avoid accidental activation, the activation button is recessed and must be depressed for a minimum of one-half second to turn the phone on. 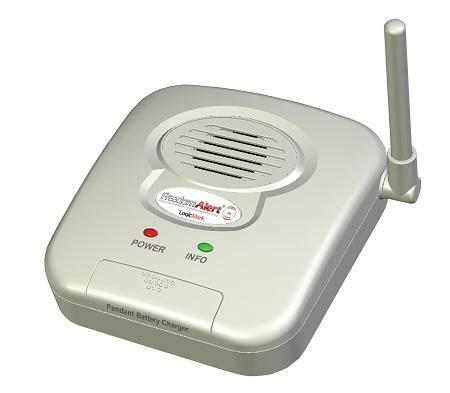 In the event of an accidental, unwanted activation, the user has the ability to speak directly into the wearable phone and alert the 911 operator that the call is accidental. A test call is recommended when end user first receives the 911 wearable phone in order to be familiar and comfortable with the simple operation. How It Works: In an emergency, press the panic button on the 911 wearable phone pendant. The 911 wearable phone pendant immediately calls 911. Within seconds, you speak directly with the 911 operator through the 911 wearable phone pendant. After the 911 operator hangs up or after 4 minutes of inactivity, the 911 wearable phone pendant automatically turns off. The 911 wearable phone pendant does not need recharging. 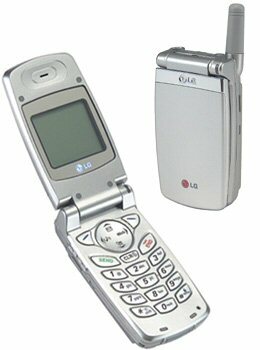 The phone uses replaceable lithium battery which lasts one year or up to 6 hours of talk time. The base station connects to any land line phone outlet and electrical outlet in your home. The 911 wearable home phone can be comfortably worn at all times around the neck, clipped on a belt, or carried in a pocket. The 911 wearable home phone's operating frequency gives it a range of approximately 600 to 800 feet, which even covers large homes. The 911 wearable home phone does not need recharging since the replaceable battery lasts one year or for up to 6 hours of talk time. All this for only $158.95. This complete emergency phone package is great for gift giving. 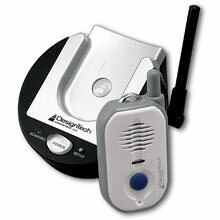 The base station provides a wireless connection to the FreedomAlert pendant and a wired connection to the Home phone line. Our policy is your 100% satisfaction guaranteed. AA Communications must be notified within 30 day from receipt of shipment of any damages or shortages incurred. We will make every effort to remedy any problems that may arise.